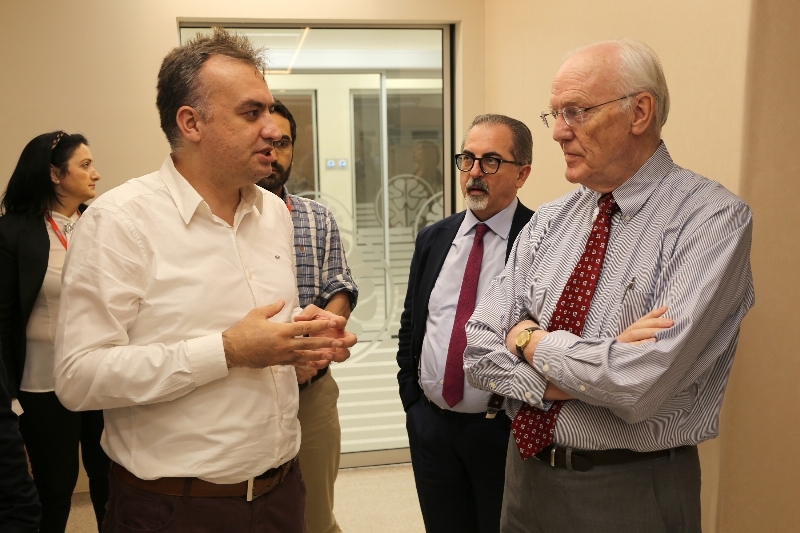 The well-known American Psychiatrist Prof. Norman Moore who received “honorary doctorate” from Üsküdar University, emphasized the importance of integrated treatment, Prof. Moore said that psychiatry should not be separated from other medical fields. 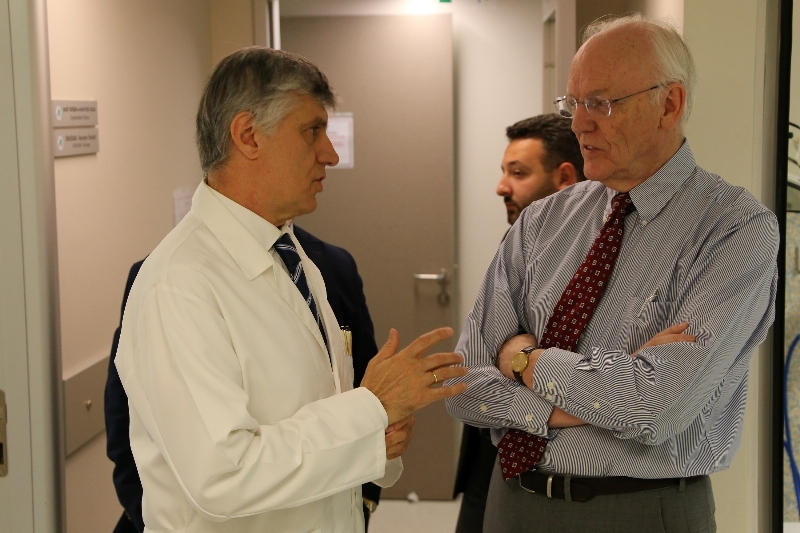 Prof. Norman Moore stated “I saw all medical branches united at the NPISTANBUL Brain Hospital. There is everything here to make science. This hospital has taken the lead in this special issue in the world, I congratulate you on your success. 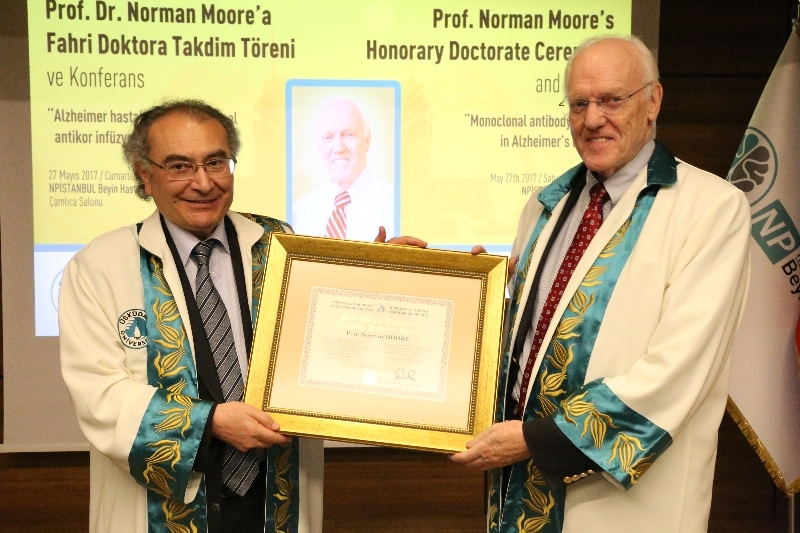 Üsküdar University Senate presented an “Honorary Doctorate” title to the famous American Psychiatrist Prof. Norman Moore due to his work in Neuropsychiatric and Electrophysiological studies in Clinical fields, showing his support to Turkish Electrophysiology, delivering his experiences to young colleagues in the best way, in addition to his contributions in the field of literature and executing important representational studies in the international arena. 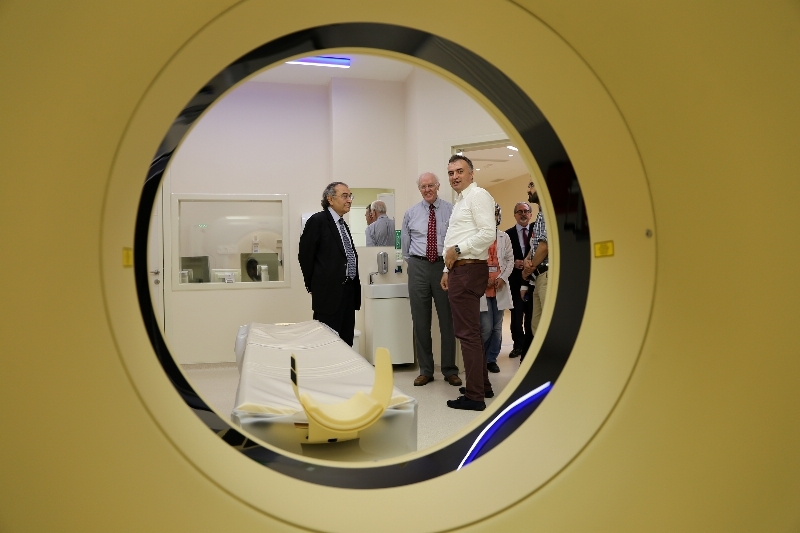 The Honorary Doctorate Ceremony was held at NPİSTANBUL Brain Hospital. 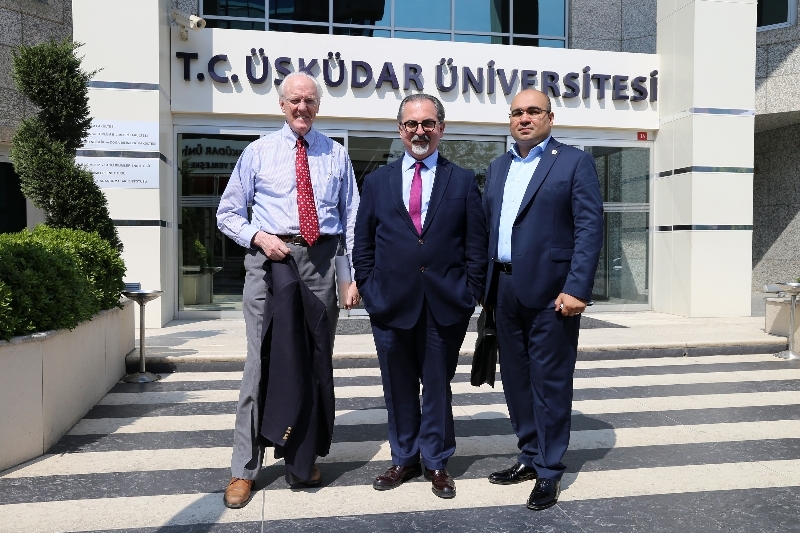 The Rector of Üsküdar University Prof. Nevzat Tarhan helped East Tennessee State University’s Psychiatry Professor and the Director of Psychiatry Research Director Prof. Norman Moore wear the robe and presented the honorary doctorate. 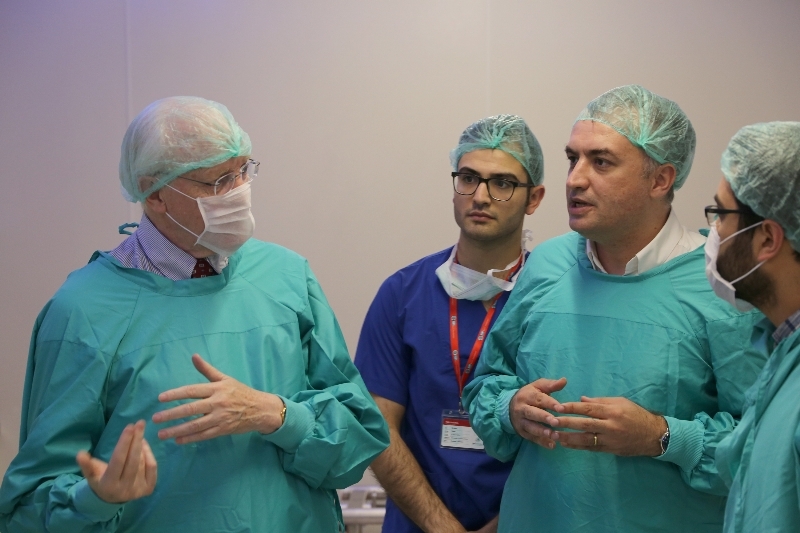 Before coming to NPSITANBUL Hospital, Prof. Moore stated that there was a meeting about TMU and he added “This has been the topic in the meeting. I think that functional MR can distinguish depression from its type, and from there it can be separated into depression types and continue with various chemical studies. I have seen here that functional MR studies are being carried out and I have told Mr. Nevzat that we can execute the same studies here that is already done. Prof. Norman Moore was born on 1st of August 1938. He completed his undergraduate studies in Medicine at Queen's University, Ireland in 1964. He received his Doctor degree in the same university and received training in Psychiatry at the Royal Air Force, London. Prof. Moore attended the program for Advanced Training in Biomedical Research Management in Harvard School of Public Health. Prof. Moore holds four honors from American Psychiatric Association and Royal College of Psychiatrists. He also received the awards of “Mental Illness Research”, “Exemplary Psychiatrist”, “Distinguished Researcher of the Year” and “Recognition for Excellence in Medical Student Education”. Prof. Norman has taken part in the management of several professional associations. He was the scientific advisor for “Numology” and “Neuronetrix” biotechnical companies. He was the Chief Editor of Clinical EEG and Neuroscience, and served as a member of the editorial boards of “Journal of Primary Care Psychiatry”, “Clinical EEG and Neuroscience” and “International Journal of Neural Systems”. Prof. Moore who has written about 98 articles so far, is currently Professor and Director of Research in the Department of Psychiatry at East Tennessee State University in America.